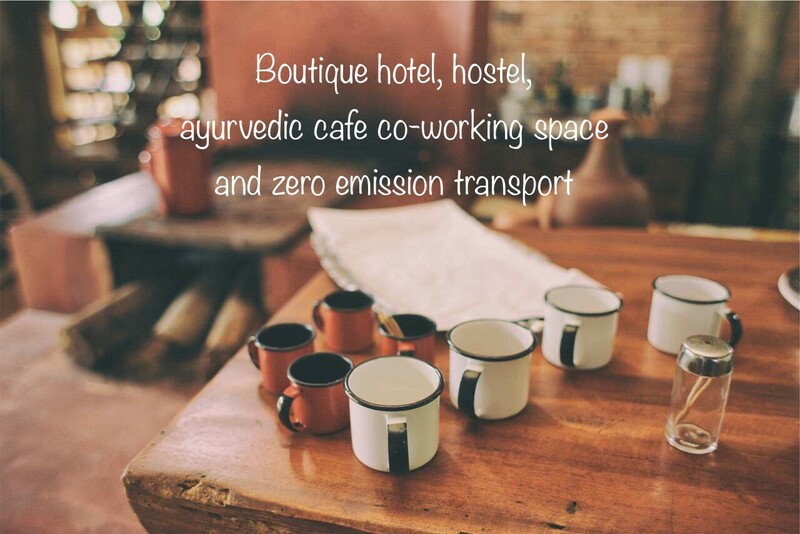 If you support us, this is the kind of space we will create for you some day for a conscious collective life ahead. This is our introductory talk at our space for audiences of 100s of students. This talk is about the current education system and entrepreneurship possible from within it. It may help the audience consider STARTING upon their own startup ideas sooner than they imagined. This talk is for everyone who the education system effects or has effected. This is the link to the talk titled Carpe Diem we launched the concept of Pre talk with in 2012 with. Here are the photos showing us in action. Note -: This is a prematurely published rough draft outlining the proposed content for this TALK. Hope you like this tentative draft. “Imagination is the preview of life’s coming attraction” — Albert Einstein. (Industrial Revoultion to Education System). (Education system was designed for a very different kind of a problem). (Age and class system limit us). 3. The age of the Internet — (This is what we trust for knowledge). (How much of this revolution is incorporated in our education). (Importance of being able to communicate THROUGH technology). (Importance of being able to communicate WITH technology). 5. Information access — The single best solution to the worlds problem. (How? We have it now. It means something). (Why not a ‘do’ culture, why still an out n out a ‘study’ culture). (I repeat, we already have the information we go to colleges for). 6. The truth about 9am to 5 pm post education — What is that, that really motivates us? Money? May be autonomy, mastery and purpose and we are going to get none of this in the current organisational environment. (The new organisations that are being set up have a lesser controled environment so that situatioin will get better). (Passion kills the idea of time). You are forced to learn through a system that doesn’t allow you the basic right of learning at your own pace, whatever that is you want to learn. The good news is that technology exists today to fundamentally change this, and as it evolves, our job becomes to tell you of how you could harness it to gather whatever knowledge you seek. Part 2 — Entrepreneurship, an act of doing, not studying. 7. Idea — Idea+doing=Entrepreneurship. This is our solution to the problems suggested in Part 1. Starting up is when we start making our own dreamy choices with childlike enthusiasm and curosity. That enthusiasm and curosity are life changing. It makes us want to know rather than be told. That is when education becomes more meaningful. This starts with imagination, runs with imagination and ends with imagination. And as Albert Einstien says, “Imagination is preview of life’s coming attraction”. 8. Student Startups AND BEYOND — (We will tell you about the whole business eco system responsible for helping the startups become large organisations. We will also tell you very briefly about everything else that you need to know about an organisation from funding, branding, designs, marketing, Complexity behind Simplicity, to accounts, IP rights etc. Above all we will tell you about the perspectives of most people we will encounter while on this journey and the relationships we will YET have to build with them). 9. Preseed — An entrepreneurship development initiative. (We will discuss the initiatives we are designing for students so that they all could attempt to startup upon their own ideas before they lose the childlike enthusiasm). 11. The net cost of a failure. (None really, if you look at it, relative to its benifits. Although, there is a monetory cost associated with a startup failure. That monetory cost may turn out to be smaller than your education bills). (The importance of failure). (The acceptance of failure in our society). 12. India the land of opportunities (Taking students through a journey called ‘entrepreneurship’ in the new age progressive India). 13. You — You could be a musician, painter, writer, thinker, dancer, philosopher, leader, entrepreneur, an adrenalin junkie or a psychedelic junkie, all of it almost in the same breath. You don’t need exams to breath this air. Its got to do something with your soul, your inner voice. Thats what you came with and it could be tuned bact to your actions regardless of your age. Basically in short, we will tell you about how building a startup is not as difficult as it is projected to be. It shouldn’t just be a privilige of the mentally elite. It should be an experiment each one should do atleast once in our lifetimes. You may also send us a little write up on your idea which we may take up with you after the TALK. What do you, Steve Jobs, Martin Luther King and Thomas Edison all have in common? Ideas. We all have them — some big, some small, some good and some bad. Some ideas transform into products and companies. Meanwhile, other ideas become global social and economic movements. And yet another few end up teaching you a new meaning of life. Note-: We will organise this TALK at not less than 250 students from your city. The midwife for your brain child. The workshop Startup Essentials is inspired by our talk titled Pre talk listed above. Hear a fancy speaker. Learn a few terms. Get temporarily inspired. Go Home. Forget. Had enough of that? Try Startup Essentials, an action-oriented workshop from an organization that prides itself in its counter culture. Get Inspired — We tell you why, in today’s era, following the herd is stupid. We tell you why the biggest reason for failing is ‘to not start’.We teach you how to approach the entire process of entrepreneurship the new age way. The lack of this knowledge is the reason why India hasn’t produced companies that the world evangelises like Apple, Twitter, Facebook and many more from the Silicon Valley. Idea,the first step — Learn what is not a good idea. Learn what not to do, and then learn what to do. Don’t get married to your first idea just because you had that idea and you thought it is a cool idea. Get it validated by us, in most cases, you will find your bubble burst with all the reasons you need to know about why your idea may not work. Simplicity — Simple enough to be spoken about in 1 line. Simple enough to be scaled out of proportion with a very small team. That is what works. Some of the most exciting new companies, Twitter, Instagram, Pinterest are based on an idea so simple on the surface that most people could not have fathomed when it must. Also you will notice that if you can’t put your idea simply, then you yourself don’t know about it with clarity. Simplicity is indeed the ultimate sophistication. We have very little appreciation for anything otherwise. Perhaps you should also check out weblab.preseed.in to know more on what we have said thus far. Branding — Do you know that at the end it is the ‘brand’ which matters? Perhaps one of the elements of an organisation building which those with the awareness of humanities more than sciences would know how to do best. It is what will be known of you. Scaling up — Many entrepreneurs fail at this hurdle. We tell you when and how to scale up, and take your business to the next level. We point out the kind of businesses that are scalable and the kinds that are not. Culture — The organisation as a whole is made of its culture. Everything else is a gimick from this point of view. Culture is what inspires your employees to innovate and put in their heart and soul for the company. If you can do this right. You can create value far far higher than you probably could have created with everything else the same. It starts with your spirit, your spirit to be the change to build something more tasteful and meaningful. Novelty — Newness seldom found in ideas and people we surround ourselves with. To know what we mean here you will either have to read everything we have written so far vis-a-vis our website and various links attached with it or you may have to attend the workshop; or better still, both. You will know then why we say 99% of the things that the Indian Education and Startup Ecosystem offers is leading us all to mediocrity. Connections — The start-up ecosystem is now highly evolved, and our experience says that ignoring it is foolish. We teach you about this ecosystem and how to best harness it so that you retain your focus to do what you do best. Slide Deck — Less than 15 minimal slides that should be highly visual, with minimum texts and maximum simple graphics & pictures. Don’t assume your investor will understand all your technical jargon. Present you plan to him as if he were a lay man. Keep it simple. We have a mission and a team that is taking us there. Why? We discovered a large problem and solved it with a product that has this amazing technology inside. We’re going to market and sell it to these customers, with these advantages over our competitors. In particular, we’re working towards these milestones over the next few quarters. Inconclusion, this financing is a great investment opportunity. — Nivi, cofounder Angelist and Venture Hacks. We will ensure that you understand the importance of each slide on a slide deck so logically that making a slide deck should come naturally to you after this workshop. A slide deck is something that you will need through out the life of your startup for furthering your business relationships with some of your most important potential partners. To read more on this read my blog post ‘The Slide Deck’. The ‘Business Plan’ — At such early stages, your business plan is not half as important as your prototype. Nevertheless, we will still give you some perspective on it. We will tell you about the key elements of a fundable business plan. Information on free collaboration Tools:- We tell you about various tools (Mind meister, murals, facebook groups, facebook pages, blogs, events, product hunt, hacker news, etc. that assist start-ups. Most importantly, we teach you to use the social web products for brain storming, communication and collaboration, the game changer. We will tell you enough that you will start acknowledging that you are empowered with free tools and free information more than you knew of. Here we will together view, read and discuss our favourite content on the web on startups, leadership, design, innovation and any other content that resonates with our parent company Preseed’s fundamentals. This will include a couple of our curated Videos that we really want all of us to not just view but also ponder over together. We will also discuss 10’s of blog posts by the greatest people in the world on topics that we want to bring to your notice. Most of this we have already showcased on our blog, The Preseed Blog. And now, for the best part. We validate your idea, and where possible, improve it into a progressive thought that can add real scalable value to today’s world and investors alike. Basically, we will add our twist to it, to make it simpler/crispier/sharper. Then we give you a set of tasks and engage with you through mere advisory communications and to get you started on your entrepreneurial journey. In the process if you show mettle, we will build the proposed business together someday soon. Everybody who wishes to further interact will be placed within a work group called ‘Startup Essentials’, where any subsequent ideas can be validated and if validated, worked upon, and any future collaborations can be discussed. Note -: We don’t claim all of you will get the taste of this action. Those who will get the taste of this action will be those who we feel have the ‘spirit and the mind’ that we are looking for to do some ‘Action’ with. “ Wish to do crazily good work, sometimes all you need is some right set of information and one right man”. What else can young student customers expect from our regular talks at our property? We will tell you, most of what we may wish to tell if not 100%, for 100% of what we may wish to tell you may take a really really profound conversation. Not sure if you are ready for that yet. 1. The Flawed Education system you are surrendered with, due to your parents, or peers or by and large, the society; for they did not have enough time or perspective to observe the switch in the functioning of the world in the last 2 decades because of the rise of ‘The Internet’. They can’t possibly fathom the functioning of the world of the next 10 years. 3. The exaggerated materials we live in the world of including money, mobile phones, beds, cars, A/Cs let alone what is not even considered a necessity. 4. The old fashioned style of toiling to build a business in the community of some really old fashioned friends/consultants/vendors/colleagues/investors and ‘BMW’ owners who think they know it all. 5. The Auto Growth Mode your business gets into when you be the right example for your team, when you give freedom, when you share and collaborate, and when you trust. In short, when you lead well. Above all when you create or look to create something that could be ‘EVANGELISED’ things become rather automatic. Share our love fellows we need to be heard by the entire country, may be even the world, someday. Come and live with us if you have the ability, passion, conviction and an undying will to do. 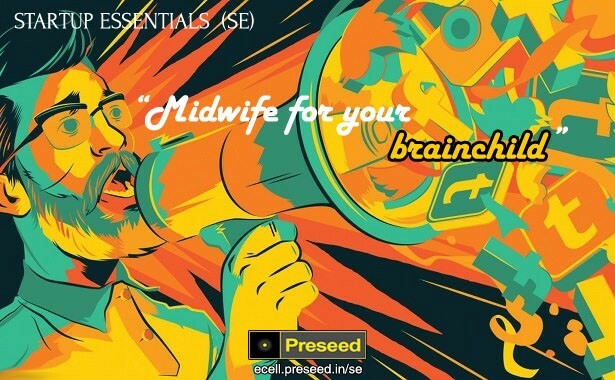 Note — If you read into Preseed well, like a seeker of novelty, you will get a chance to hear about our experience of this counter culture called ‘Preseed’ in the almost 6 months we may end up spending together. Preseed E-cell expects to make money out of E-commerce revenues and exits in startups of Pedagogue and its fund (mentioned below). All of the above including space, living and education from us will be FREE to one and all. The main reason for Preseed E-cell spaces is to have a space with inspiring and progressive culture under one common roof for those who deserve it, regardless of money.